We’ve nicknamed my daughter “Ms. More” because, since the day she was born, she's always angled to get more than she has. If I agree to let her have one cookie, she immediately wants two. Before I’m even done reading her a bedtime story, she’s already asking for another. Touché. And a little bit true. I’ve already resigned myself to the fact that my children won’t fully appreciate all that I do for them until they have kids of their own. And I might just be dead by then. Or, at the very least, over my need to feel like a valued employee at this job no one will let me quit. Now, as my friends will tell you, I am not one of those parents that gives in to my diva’s incessant demands. Much the opposite. As a disciple of optimism and a graduate of The Secret. 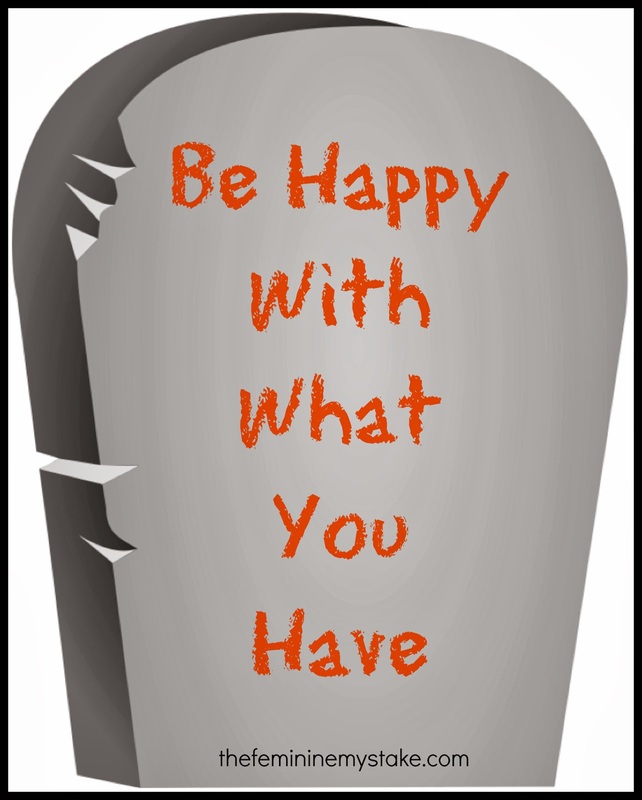 My favorite catchphrase is, “BE HAPPY WITH WHAT YOU HAVE!! !” My kids hear it all the time and will probably put it on my tombstone. When my 10 year-old complains that he doesn’t like his dinner, I tell him, “Be happy with what you have!” and take his plate off the table. And when Ms. More pouts because the piece of cake I cut her isn’t big enough, I say, “Be happy with what you have,” and hand her slice to someone else. I’m pretty sure I once overheard a sister-in-law refer to me as the Treat Nazi. But, as harsh as my actions sound, these mostly idle threats really do get my kids to think twice and instantly act more appreciative. 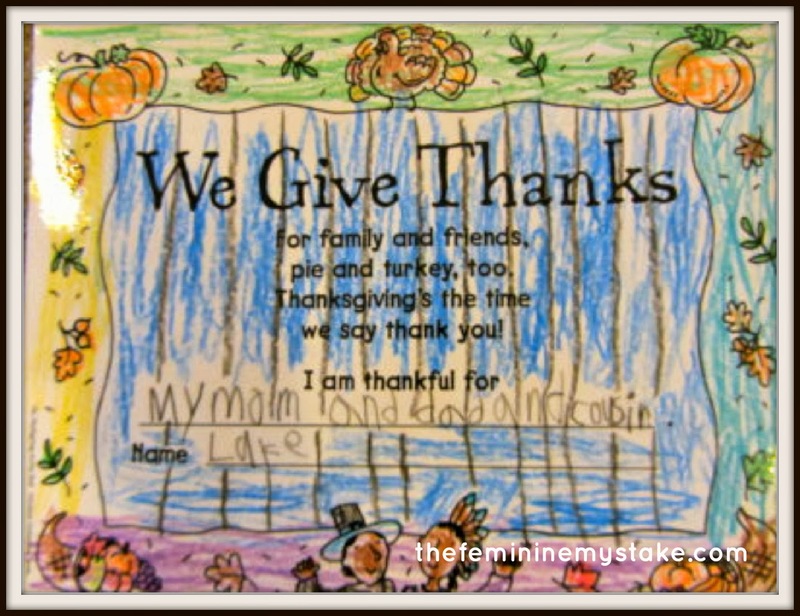 Sure, parenting is a thankless job, but it doesn’t mean we can’t all teach our kids to be more thankful. Countless studies show that infusing children with an attitude of gratitude will help them become people who are healthier, happier and more content with their lot in life. Which can only make them easier to live with, especially when they turn into ride and money-grubbing teenagers. It’s Parenting 101, reminding kids to say “Thank you,” but I’m surprised how many times folks let their little ones get away with forgetting this simple courtesy. Children are like tigers. They need to be trained, over and over, like a million times before they can instinctively know how to jump through that hoop. Remind them to thank the waitress for serving their dinner. Remind them to thank the bus driver for dropping them off. Remind them to thank you for giving birth to them (mostly joking, but you get my drift). And don’t just remind them. Show them, by doing it yourself. Thank your spouse for going out the door each day, or for cooking an edible meal. And thank the kids when they’re actually good. Gratitude is contagious. Let them catch it from you. Giving kids every single thing they want–or demand–only makes them feel entitled. Remember that bratty Veruka Salt from Willy Wonka? The more you say “No”, the more your children will appreciate when you finally say “Yes.” My youngest son was so used to getting his brother’s hand-me-downs that the first time I bought him a new pair of shoes, he was so over-the-moon thankful you would’ve thought he won the lottery. Lowering kids’ expectations makes it easier to wow them. My pediatrician, bless him, recommends chores as necessary for a child’s well-being. Helping out around the house not only teaches responsibility, but also respect and appreciation for the hard work Mom and Dad do. You owe it to them to make them pitch in! Get your kids to save up their dollars for that video game, doll or device they really want. Delaying their gratification and having them buy something with their own money will make them value the item more than if you simply hand it to them because they’re cute, or because they wore you down with whining. Create a family ritual or habit that lets everyone express their gratitude. I love the idea of making a gratitude jar, similar to one I found on somewhatsimple.com, where family members write down what they’re thankful for, then do acts to show their appreciation. Ms. More and her brothers are young, and thus naturally self-centered, but they’re slowly showing signs that my message is getting through. When I recently asked my oldest if he would help out at a local food bank, his immediate response was, “Sure, I’d love to!” My daughter still whines sometimes for a bigger piece of cake, but as soon as I start to take her plate away, she quickly recants and thanks me for what she has. And for that, I too am thankful. Wonderful Article..we are living in a culture where children as well as adults have become 'entitlement' junkies...Where a sense of empowerment comes from simply acting rude...it is unfortunate most do not even realize they are acting this way.. I love this article. 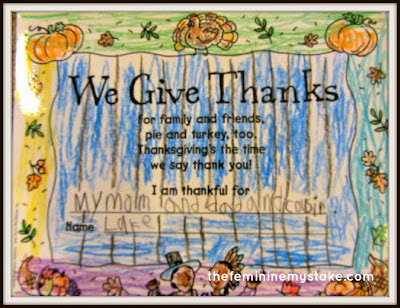 I'm glad I'm not the only person out there that reminds my kids to be grateful for what they've got. Our saying is " you get what you get and you don't get upset". Thanks for a wonderful article.